A small practical improvement could make a world of difference. The journey awaiting kidney patients in need of a transplant is often long and painful, and can lead to weekly stints undergoing uncomfortable dialysis treatment. 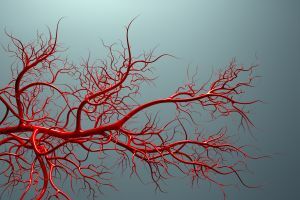 A new device, which helps patients grow new veins that make it easier to filter the blood, could mean the world to those who have to endure the procedure every few days for months or even years. As kidneys fail, they stop cleaning the blood from the impurities that the body normally gets rid of via urine. Although kidney disease can sometimes have few symptoms, it can be fatal, unless doctors intervene and perform the kidneys’ job outside the body, through the process known as dialysis. During dialysis, patients have their blood pulled out, purified and put back in on a regular basis. The tedious procedure keeps them alive as they wait for a transplant, but it has some serious side effects, including damage to the veins. Long-term dialysis users have a plastic tube implanted into their arm to facilitate the removal and injection of blood, because human veins are too fragile to endure the procedure every week for a long time. The tiny plastic tubes are meant to protect the veins while also making it easier to extract the blood. However, “when you leave plastic implants in the body, they tend to occlude [block] quite easily,” explained Silvére Lucquin, CEO of the company Aditlys, to Engadget. His company’s research indicates that these blockages occur in 50 percent of patients within the first year of therapy. For this reason, Aditlys wants to equip patients to better cope with prolonged periods of dialysis, by helping them grow blood vessels that connect more easily to the machine. They plan to do so by installing a hollow artificial implant into a patient’s veins. Over time, this polymer-based vessel will supports the growth of new tissue that shapes around it. While the implant slowly dissolves, the new veins will form a natural link for the dialysis tube. Compared with a plastic implant permanently stuck in the arm, the natural junction protects patients from the infections that are very common in this type of procedure. Aditlys plans to use a combination of advanced medical technologies, building on a process of endogenous tissue restoration introduced by a company called Xeltis. While Xeltis mainly worked on restoring heart valves, Lucquin and his team will be focusing on blood vessels. The idea is still in its early stages, and it still has a long way to go before hitting the market. Yet given that one in three American adults risk getting kidney disease at some point, every improvement that can make their life easier has the potential to make a massive impact.